As fellow local sporting enthusiasts, William Bradley & Co are proud to offer a cross range of accountancy and tax services that suit clubs & associations of all sizes whilst also offering a dedicated professional service to all personal affairs too. 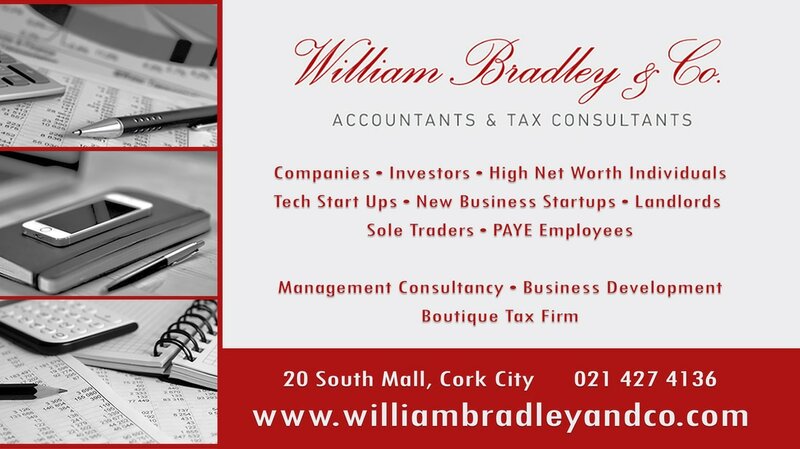 With a boutique office located at South Mall in Cork City, William Bradley & Co are honoured to look after clients from all across Ireland and the UK. ​So, whether you're a club needing a hand with the annual bookkeeping, or a player looking to invest in new areas of business and tech start ups, as a family run firm we can help. We welcome all enquiries, in the first instance, please contact Bill Bradley on 021 427 4136 or send an email to bill@williambradleyandco.com. You can also request a call back by completing and sending your details below.